"Target Jedha City. Prepare single reactor ignition." 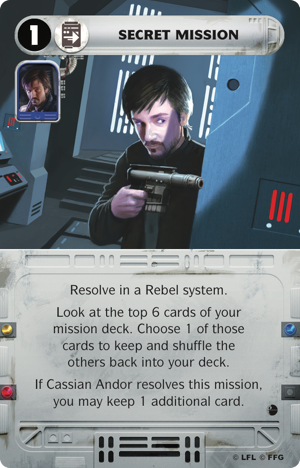 Inspired heavily by Rogue One: A Star Wars Story, the Rise of the Empire expansion for Star Wars™: Rebellion adds a whole new chapter to the game's dramatic take on the Galactic Civil War. 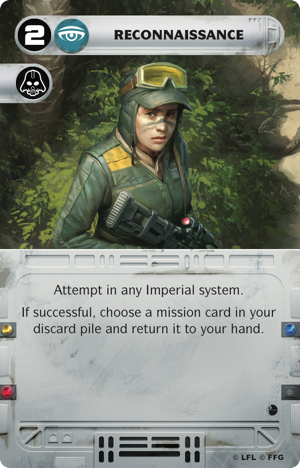 Over the course of our previews, we'll explore how the expansion's new leaders, units, action cards, dice, and cinematic combat give life to such iconic characters as Jyn Erso, Cassian Andor, Director Krennic, and Jabba the Hutt. We'll look at the dramatic narratives and tense tactical decisions it introduces to your games. And we start today with a look at its missions. 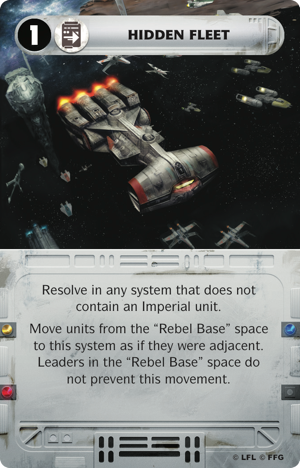 As fans have discovered, Star Wars: Rebellion is a deeply thematic and dramatic game of cat-and-mouse that plays across multiple turns and star systems as the Imperial player attempts to find and destroy the Rebel base before the rag-tag Rebellion can stir the galaxy toward full-scale revolt. The beauty of the game is that its design simultaneously accommodates personal heroics and the fleet-level wargaming one might expect from a game about the Galactic Civil War. You can command Star Destroyers and AT-ATs alongside whole battalions of Stormtroopers. 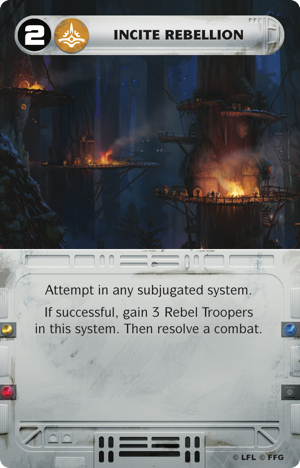 You can launch surgical strikes against key Imperial strongholds with squadrons of X-wings and Y-wings, supported by T-47 airspeeders and Rebel troopers. And you can send iconic characters like Luke Skywalker, Han Solo, and Darth Vader on secret missions that can change the whole balance of the war. 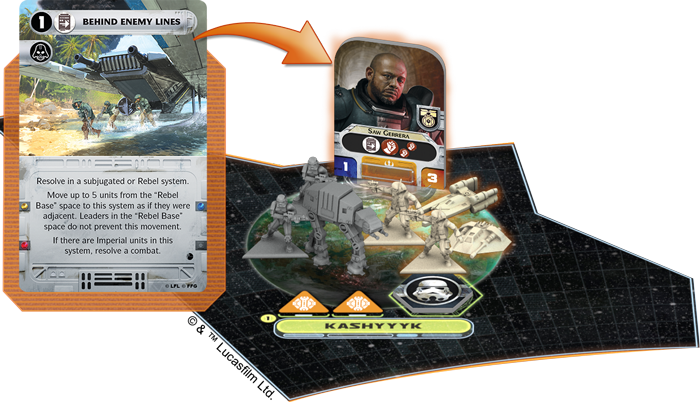 Rise of the Empire ensures this balance of personal heroics and galactic ambitions remains as tight as ever, but its new missions allow you to recast your adventures in a new light. 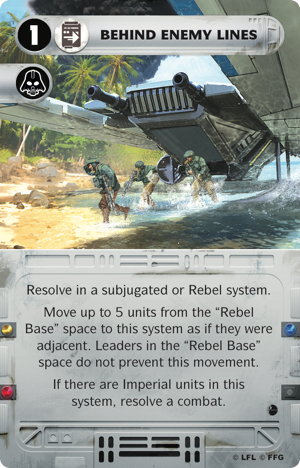 Instead of sending the Emperor to Address Delays in Imperial production lines while Darth Vader conducts an Interrogation of Han Solo before Carbon Freezing him, you might reinforce the Imperial Might by deploying an assault tank to Kashyyyk before you Exploit Weakness in the Rebellion's position there. 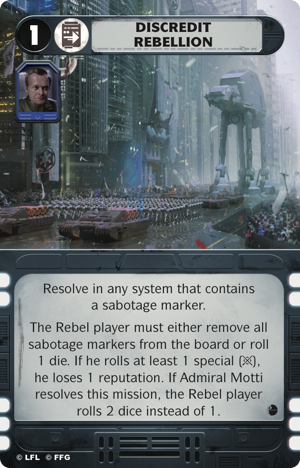 Alternatively, if you're playing as the Rebellion, instead of Planting a False Lead and then moving your Hidden Fleet to Incite Rebellion , you might leave your Safe Haven to perform some Reconnaissance before going Behind Enemy Lines . The first time you play with Rise of the Empire, you'll use only your starting missions and those missions that have either a leader icon or the Rise of the Empire expansion's new Darth Vader icon. 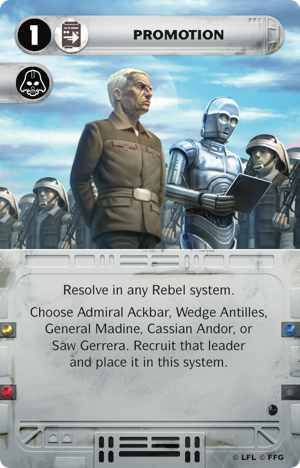 In future games, you'll choose whether you use the core missions or these newer ones, and both sides—Rebel and Imperial—are able to make this choice independently. 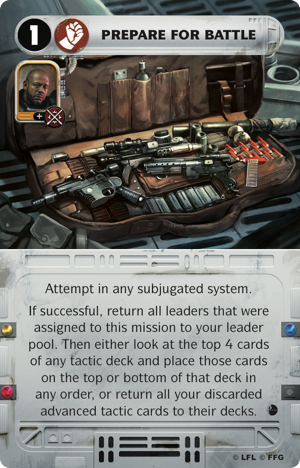 Altogether, there are twenty Rebel missions in Rise of the Empire, plus nineteen Imperial missions and five projects. Altogether, these cards and their game effects alter your games in small—but notable—ways. With Rise of the Empire, the stories you discover are more likely to be characterized by an Empire that extends its reach swiftly, planting its flag on planet after planet, and promoting new leaders to organize them. 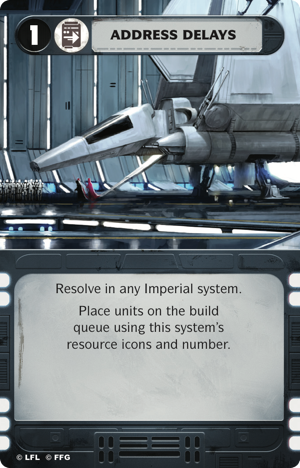 You'll find the Empire can more swiftly inspire loyalty—or subjugate systems. 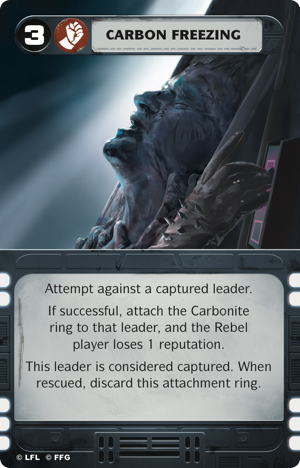 Imperial players will also be able to further capitalize upon this early momentum by discrediting the Rebellion and using Rebel captives as bait to draw their soldiers into the different traps they set across the galaxy. On the other hand, the Rebel player can use the larger military afforded by its Safe Haven to build toward a potent late game. 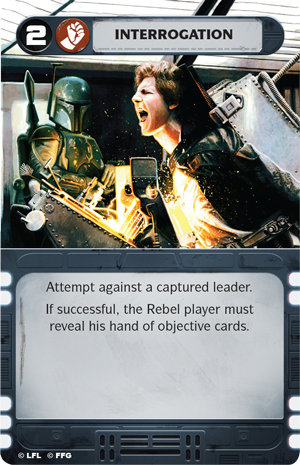 This is fueled further by the objectives we'll explore in future previews, as well as by the Promotion of new Rebel leaders and the Secret Missions they can undertake as you Prepare for Battle . 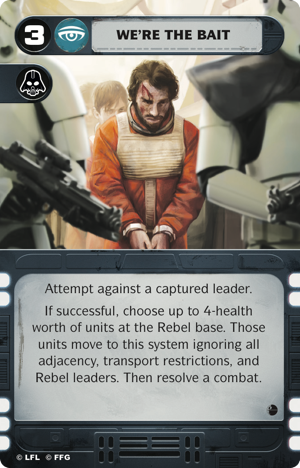 Under your shrewd command, these Rebels can then launch surgical Assaults when and where they're needed most to slow the Empire's unyielding sprawl. 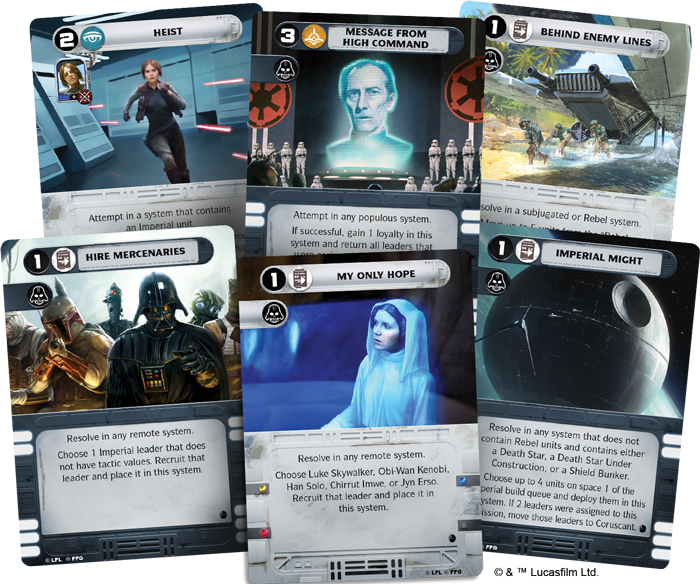 While there are a number of important differences between the core missions and the new Rise of the Empire missions, there are also several important differences between the Empire's core projects and those you'll find in the expansion. These include the addition of another way to use your Death Star— Single Reactor Ignition . 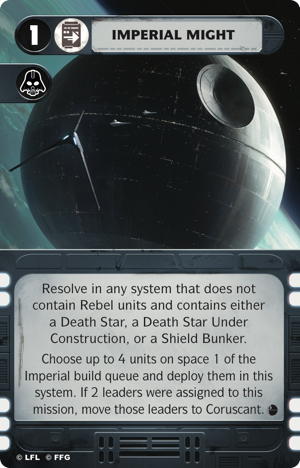 In Rise of the Empire, the Death Star remains every bit as lethal as in the core game. Your project deck will still contain all three copies of Superlaser Online, but there are times you may want to make a statement, not a manifesto. 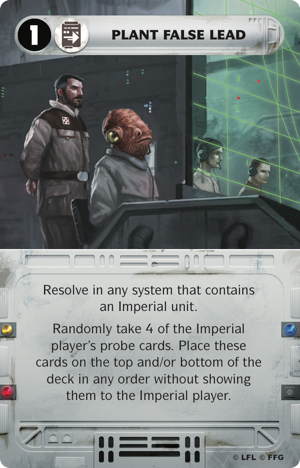 Perhaps you've cornered a contingent of Rebel forces on Mon Calamari, and you want to eliminate them—without eliminating the planet's ship-building resources. Or perhaps you simply wish to rid the planet of Rebel influence without endangering the ground forces you've withdrawn beyond the limits of the blast radius. In either case, a Single Reactor Ignition provides more than enough power to make your point. 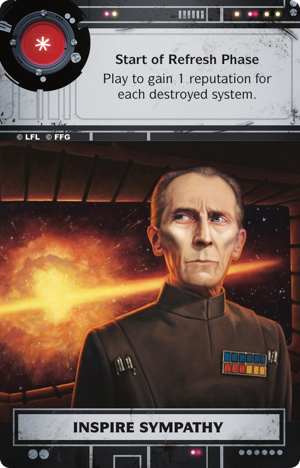 Of course, the project does one more thing: it evokes the chilling interchange between Grand Moff Tarkin and Director Krennic that leads immediately to the obliteration of Jedha City. 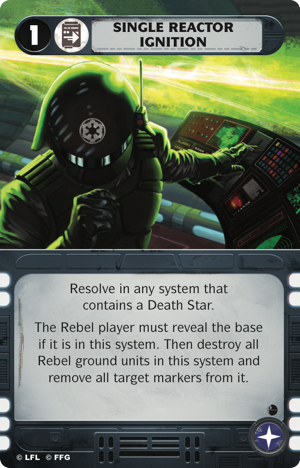 What better way is there to illustrate your Galactic Empire's cold, cruel, and uncaring disregard for life than to eradicate millions just to wipe out a small band of Rebels—all while sneering as you command your minions to dial down the Death Star's destructive powers? And the best part? Your blast won't Inspire Sympathy for the Rebels the way it would if you destroyed the whole planet. The project offers you a new measure of tactical nuance that begs to factor into your overall strategy for galactic conquest. 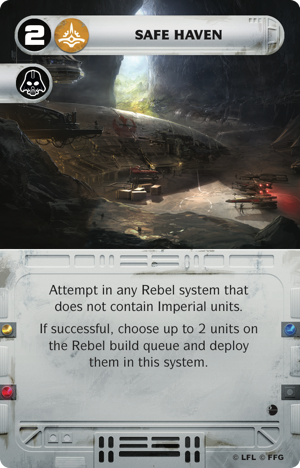 Are you excited by the new missions from Rise of the Empire? Are you curious about the new leaders and their new icons? Do you want to learn what the expansion offers for new units and cinematic combat? If so, we want to hear about it. Share your thoughts with the other members of our community forums, and let us know what excites you most about the expansion. 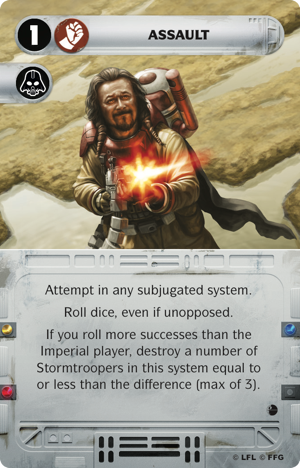 In the meantime, head to your local retailer to pre-order your copy of the Rise of the Empire (SW04) expansion for Star Wars: Rebellion! 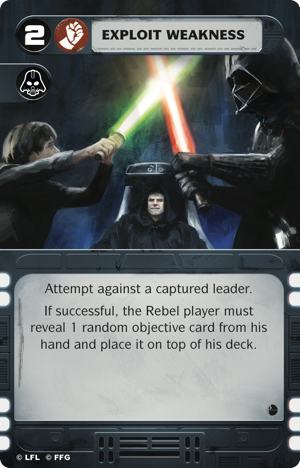 Star Wars™: Rebellion is the board game of epic conflict between the Galactic Empire and Rebel Alliance for two to four players. 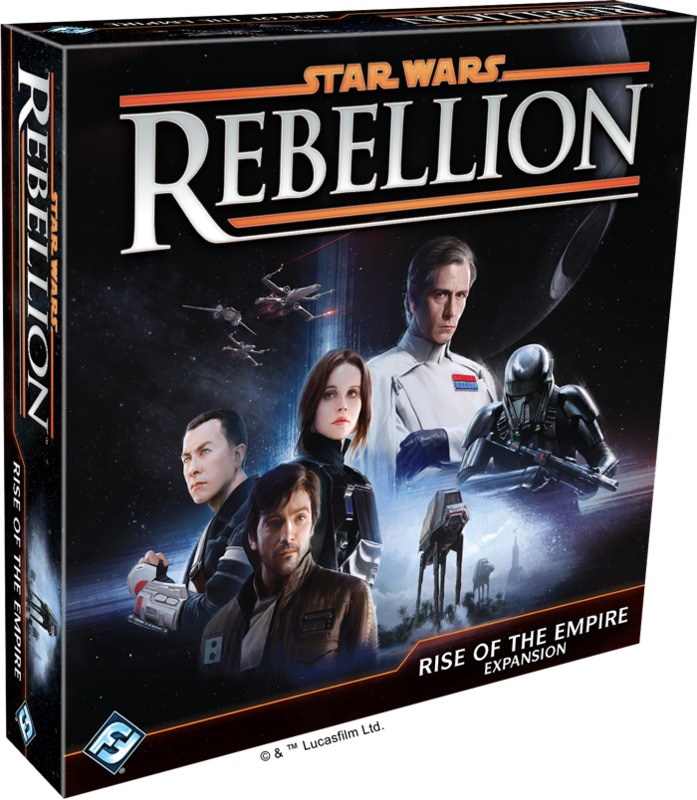 Take control of the Empire and unleash your military might to snuff out the Rebel’s base, or begin a full-scale Rebellion focused on guerrilla tactics and sabotage.